We all know that in this presidential election, the only issue that really matters is education. The candidates mention it at least once a month and it always ranks in the top 11 issues in most national polls. In November, we will either elect a person who voted for No Child Left Behind and supported charter schools or one with no record at all beyond some rhetoric about the Common Core and choice. While the odds-makers favor Democrat Hillary Clinton at the moment, the polls are now tilting towards Republican Donald Trump. 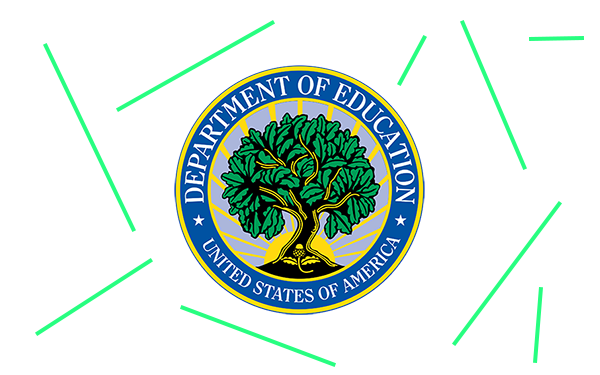 And with election day a little over three months away, it’s not too early to speculate on who might be the next education secretary. Since Trump declared “common core” a disaster and his choice for vice-president, Indiana Governor Mike Pence, was the first governor to repeal the state standards (although he really just renamed them), President Trump may outsource this decision to Vice-President Pence. Or he may seek advice from Tennessee Senator and former Education Secretary Lamar Alexander. Either way, Trump will be disappointed when he realizes how little power he has, thanks to the local control zealots in his party, and his attention will quickly shift elsewhere. Nevertheless, if Trump actually wants someone who cares about public education and knows something about it, he has plenty of options on the right side of the political spectrum. For example, New Mexico state chief Hanna Skandera or former Arizona superintendent of public instruction, Lisa Keegan. If he wants a champion for choice, he might tap Nina Rees, a former assistant secretary of education who now runs the National Alliance for Public Charter Schools. All three are serious advocates for public education who would presumably be comfortable with the more limited federal role specified under the new federal education law. Not sure if they would be comfortable working for Trump. Some conservative education reformers aren’t even voting for him. President Hillary Clinton, on the other hand, appears to be taking her cues from American Federation of Teachers President Randi Weingarten, who managed to walk back long-held party positions on accountability and choice. Weingarten can triangulate with the best of them, talking a good reform game while staying in the good graces of her more militant members. It’s hard to imagine a Republican-led Senate confirming Weingarten but she might have a shot if the Democrats win back control. Weingarten loves her current job but this could be a once-in-a-lifetime opportunity to have the biggest bully pulpit of all and few would use it better. Stanford Professor Linda Darling-Hammond, who advised the Obama campaign on education and appeared to be secretary-in-waiting, only to be passed up for Arne Duncan, would also be a safe choice for President Clinton. Darling-Hammond has the credentials and a long and very public record on policy issues. Among other things she started a charter school (though it closed a few years ago). She’s also backed away from test-based accountability, endearing her to the anti-reform wing of the Democratic party. Clinton could also turn to a super-competent but less controversial reformer like departing D.C. Chancellor Kaya Henderson, who has managed to drive most of the reforms pioneered by her predecessor Michelle Rhee with little noise and drama. Henderson has achieved nation-leading results and would be an outstanding choice. Equally outstanding would be Denver Superintendent Tom Boasberg, who has deftly expanded charter schools in the Mile High City while simultaneously boosting enrollment in the traditional school sector. Like Henderson, he also gets results in the classroom. Both of them have made supporting and strengthening teaching a top priority and have managed to maintain good relations with their local unions even as they advance policies like teacher evaluation. At the moment, the most politically potent education issue is student debt, so Clinton might want to pick a higher education leader with a record of reining in college tuition costs. They are in pretty short supply, but one option is former University of Maryland at Baltimore President Freeman Hrabowski, whose state system has worked harder than most to control costs. Traditionally, higher education issues fall to the Under-Secretary, the number three slot in the department, but choosing a college president could signal that this issue is a priority. Given the shrunken federal role under the new education law, Clinton could easily pick a get-along, go-along type who doesn’t want to make waves, though it runs up against her activist nature. As her husband Bill Clinton eloquently argued in Philadelphia this week, Hillary Clinton is “the best darn change-maker” he ever met. The idea that she would pick a seat warmer for Education Secretary just doesn’t add up. Which is why the best choice of all might actually be a non-choice — someone with more experience, credentials, and diversity than all the other candidates. A former history teacher, he started one of America’s most successful charter school organizations and has served at the state and federal level. He is half-black and half-Puerto-Rican and holds more advanced degrees than a thermometer. Reform opponents whispering in candidate Clinton’s ear wouldn’t like it but American children would be well-served if President Clinton just sat on her hands for a few years and allowed the current Education Secretary John King to continue.